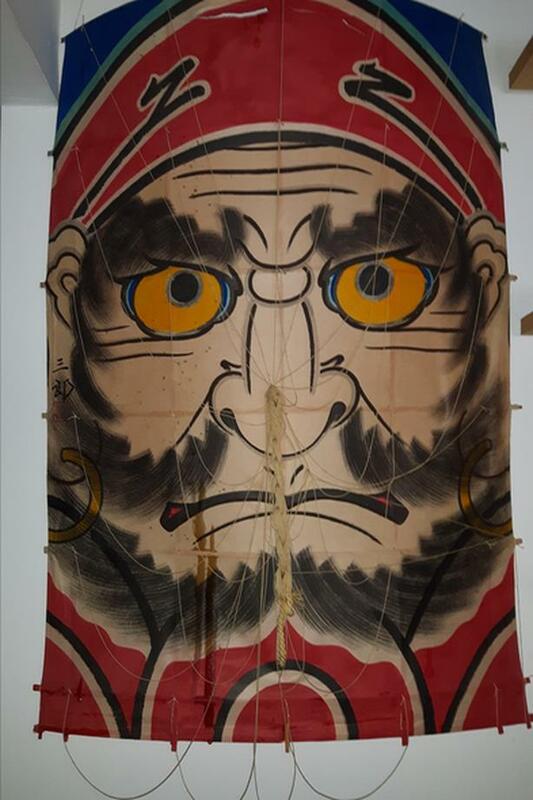 Large, Hand-painted Japanese Kite . Hand painted on Rice Paper. Mounted on bamboo, strung and ready to fly. This kite has never been flown and, although it has minor damage, is as much a work of art as a toy. Size 32 inches by 22 inches. Artists signature can be seen in the detail photo. For fun or man cave.